The World Health Organization says the outbreak, which has killed 27 people, is at risk of expanding into urban areas. A deadly Ebola outbreak in the Democratic Republic of Congo has a clear "potential to expand", the World Health Organization warned Wednesday, as it reported seven more cases of the disease. 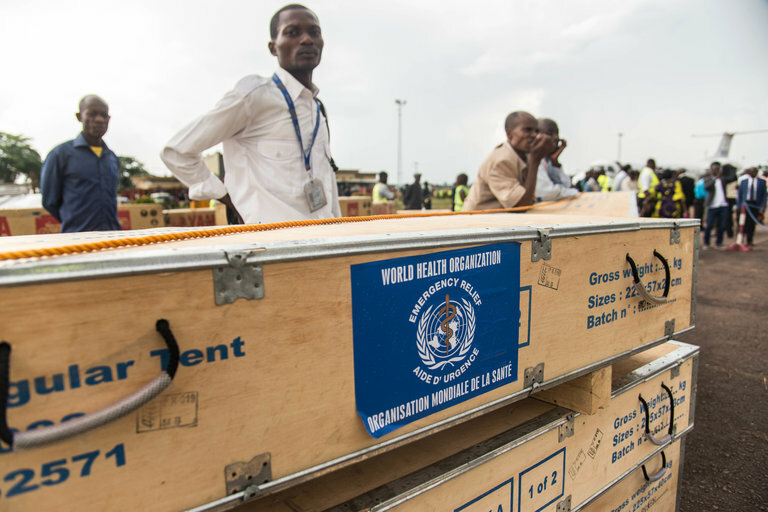 "We are on the epidemiological knife edge," Peter Salama, in charge of emergency response at the WHO, told a special meeting on the outbreak that has killed 27 people. "The next few weeks will really tell if this outbreak is going to expand to urban areas or if we are going to be able to keep it under control," said Salama. One of the world's most notorious diseases, Ebola is a virus-caused haemorrhagic fever that spreads through contact with bodily fluids and can lead to fatal bleeding from internal organs, the mouth, eyes or ears. "An urban case means that it can spread quickly. That is another challenge," WHO chief Tedros Adhanom Ghebreyesus told Wednesday's session during the agency's annual World Health Assembly. The proximity of the outbreak to neighboring countries, especially through the river connection, was a major concern, he said. "They are connected, they are very close, and that is another challenge that makes the problem really serious," he said. "That is a tragedy in its own right, but it also signals the potential for further amplification," he said. At the same time, though, the top WHO officials and DRC's ambassador to the UN in Geneva Zenon Mukongo Ngay, who spoke at the event, stressed the massive efforts put in place to halt the outbreak. Salama said in just the two weeks since the outbreak was declared, clinical care facilities have been set up, an air bridge has been established to Bikoro, emergency financing has been mobilized, protective gear and emergency medical kits have been supplied. In addition, a vaccination campaign has begun and more than 120 WHO staff alone have been deployed alongside numerous staff from other organizations under the leadership of the DRC government. "It is hard to recall a situation of an outbreak where a government has responded more quickly and more decisively than in this outbreak," he said. "This is not mass immunization, this is highly targeted ring vaccination," Salama said, pointing out that the aim was to form "protective rings around (each) case to protect the people themselves, but also to prevent further community transmission." He told AFP that some 10,000 people should be vaccinated within the next month. Matshidiso Moeti, WHO's regional director for Africa, meanwhile said WHO response teams have been sent to most of the nine surrounding countries to ensure they are sufficiently prepared in case the virus spreads beyond DRC. "We are working very hard with the countries in the surrounding area to ensure that their readiness and their preparedness could be up to the task of a case arising in these countries," she told AFP. "We are hopeful that we will be able to contain this epidemic," she said.